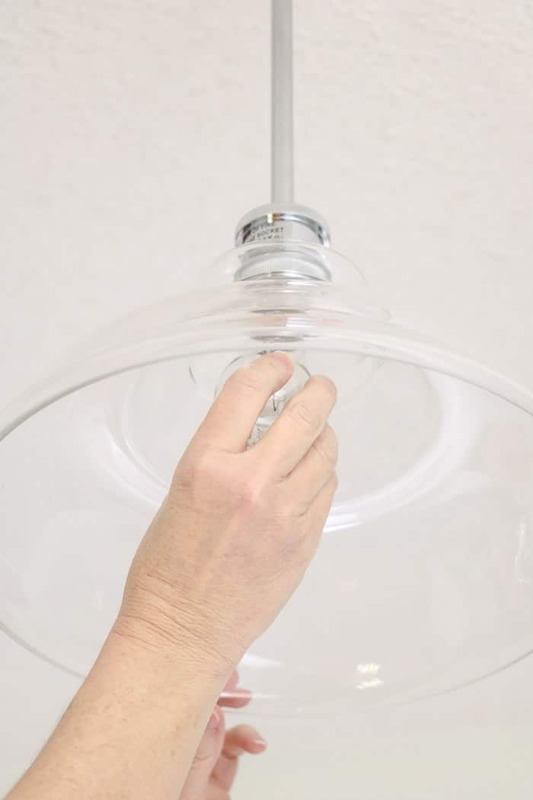 How to change a ceiling light bulb is one of the easiest projects you will have to do at home. 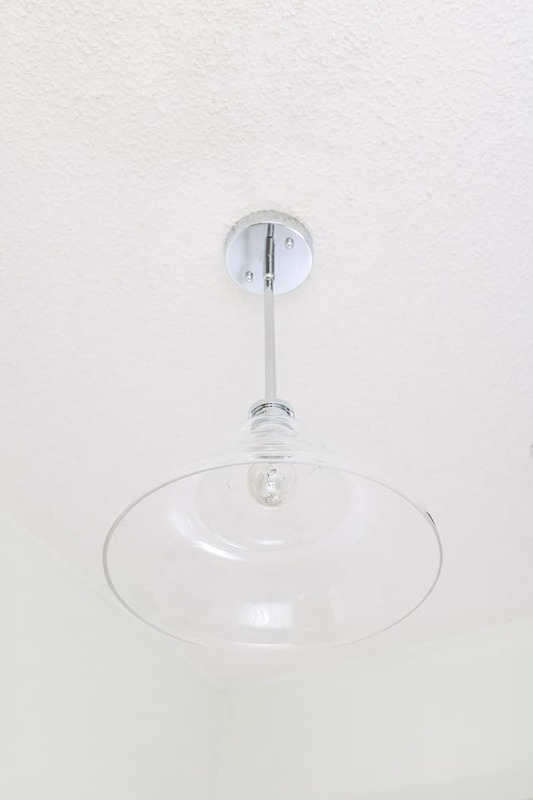 This post will go through the steps of replacing a lamp in a modern industrial ceiling light. How to change a light bulb seems like such an easy task, but it is a little more involved than one thinks. 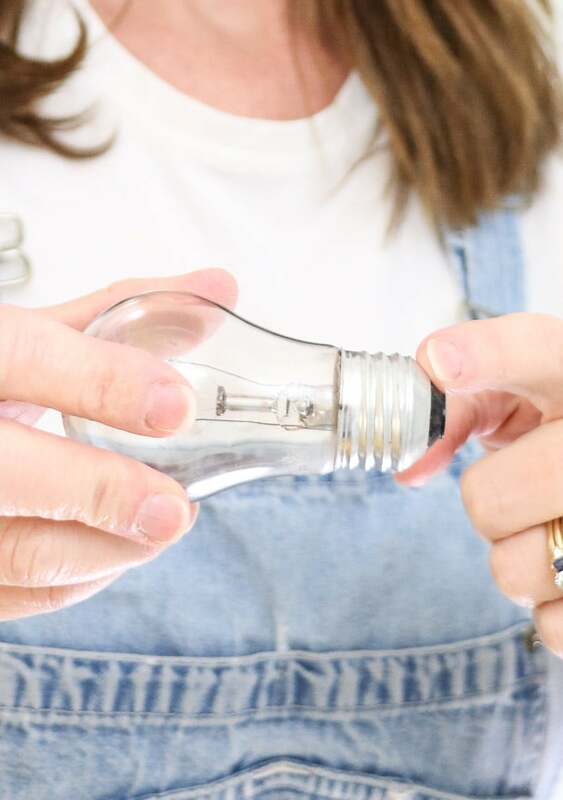 There are some safety features to consider and knowing what bulb to purchase is a little overwhelming when you see rows and rows of options at the store. So, let’s begin by talking about where this lightbulb is being changed and then on to the DIY on how to change the light bulb. During our laundry room remodel we discovered that more lighting would make the space more functional. So thanks to Linea Lighting for this beautiful modern industrial ceiling light. You may recognize the design from your school day or if you have ever been to a factory. 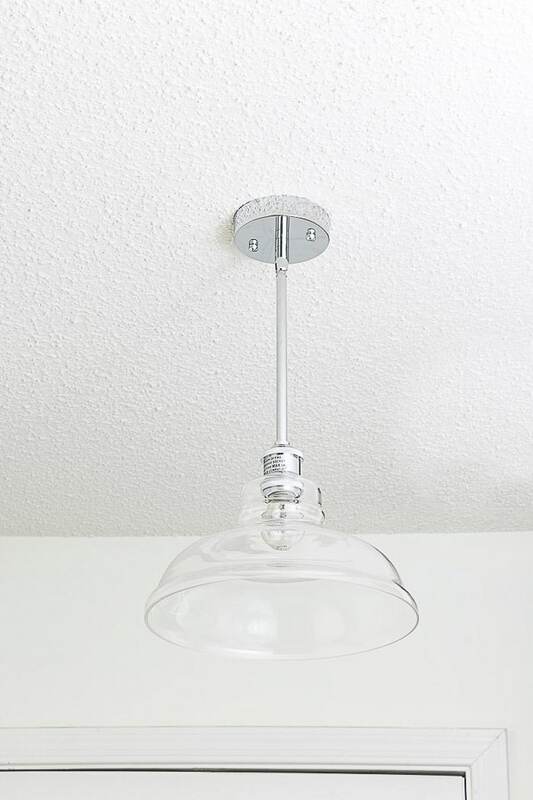 But this industrial ceiling light has a clear glass globe which gives it more lighting, character, and sparkle for our laundry room. A ceiling clear glass globe is perfect for a reading nook too. 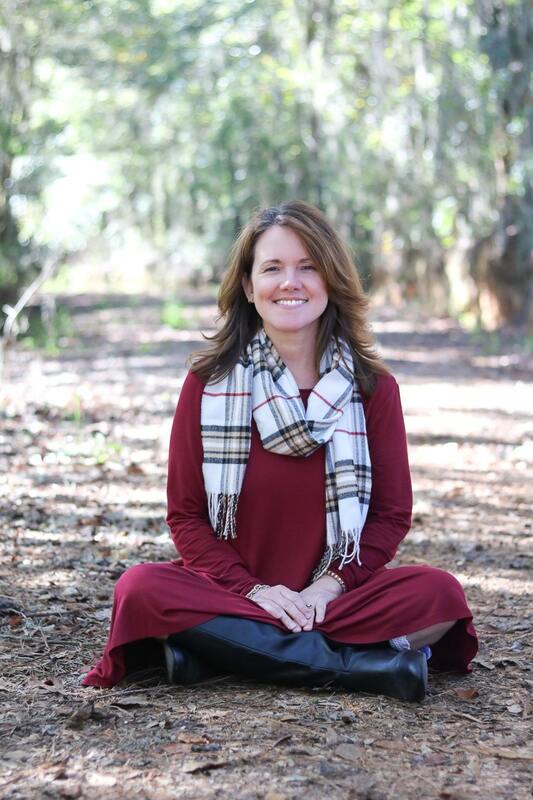 And if you want some tips on how to create the perfect reading nook we have a post that will walk you through the steps. 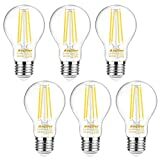 When determining what kind of lightbulbs you will need to look at the actual light fixture for a label that shows the max wattage. Our light says a max of 60 watts. Sixty watts is pretty dim for a room, but our laundry room is 6 feet by 7 feet so it is not very big and the clear glass globe allows us to receive all the luminous. 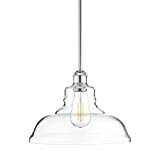 You will also need to decide between incandescent, LED and Halogen to name a few. But that is a whole other post for a later day. So now on to how the change the ceiling light bulb. With all projects, it is good to get all your tools together first. Here is a list of what you will need to change your light bulb. Let’s start with turning the light switch off. Wait about 10 minutes to allow the lightbulb to cool off completely. 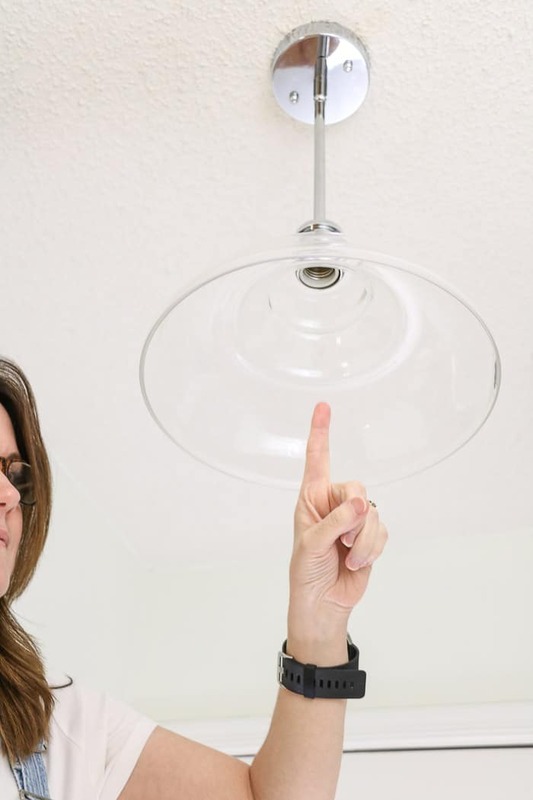 Many lightbulbs get very hot and can burn your fingers. 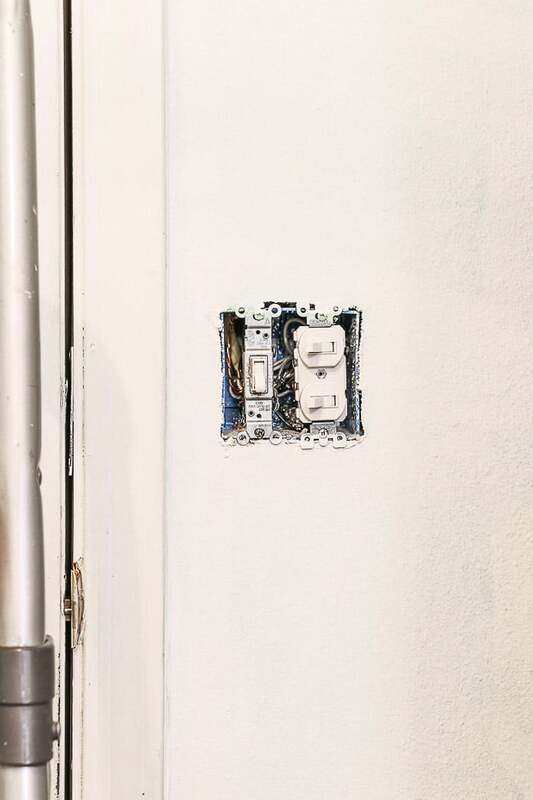 Since we are working on a remodel our switch plate is removed from the wall. You do not have to remove your plate. Merely switch the button to off and check to see if the light is not lite. 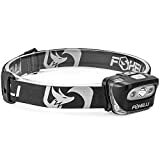 Grab your ladder if needed and headlamp or flashlight if needed and gently start unscrewing the old light bulb to the left. Be very careful because the glass on a light bulb is thin and can break easily. If the bulb is not coming out easy simply wiggle it slowly and gently as your turn. 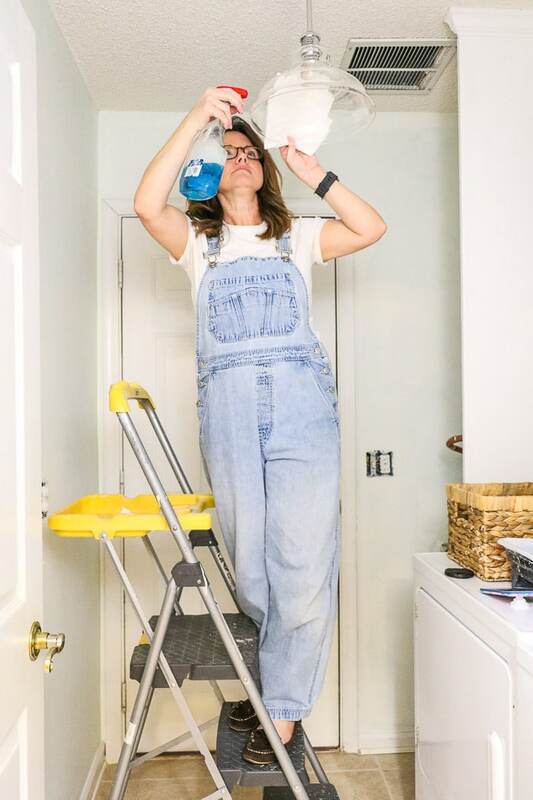 This is a great time to give your light a good cleaning. You can use glass cleaner as I did her. Or if your globe comes down from the ceiling take it to the sink and wash it with warm water and gentle dish soap. Rinse it in hot water and let it dry while you are installing the new light bulb. Now it is time to put in the new light bulb. Let’s start with looking at the end of the light bulb. On one end of the bulb, you will see a threaded metal piece. That is the piece that will go into the ceramic threaded hole of your light. Next look for the ceramic hole that also has a threaded metal piece inside. That is where you will be putting the new light bulb. If you removed an old bulb, then this step is the reverse of removing a bulb. 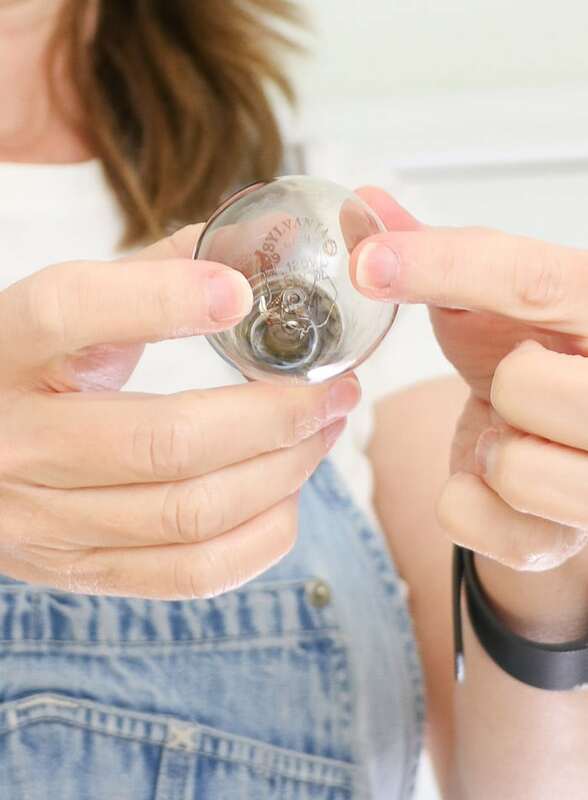 However, if you are not removing an old bulb then merely put the bulb in the hole and screw it in with a right motion. Don’t forget to be gentle and give the bulb a little wiggle as you turn. Do not over tighten. Once it appears to have stopped threading then your light bulb has been installed. Next turn on the light switch to make sure the light works. Now you know how to change a light bulb. 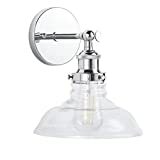 If you washed your light globe turn your light switch back off and install the shade. 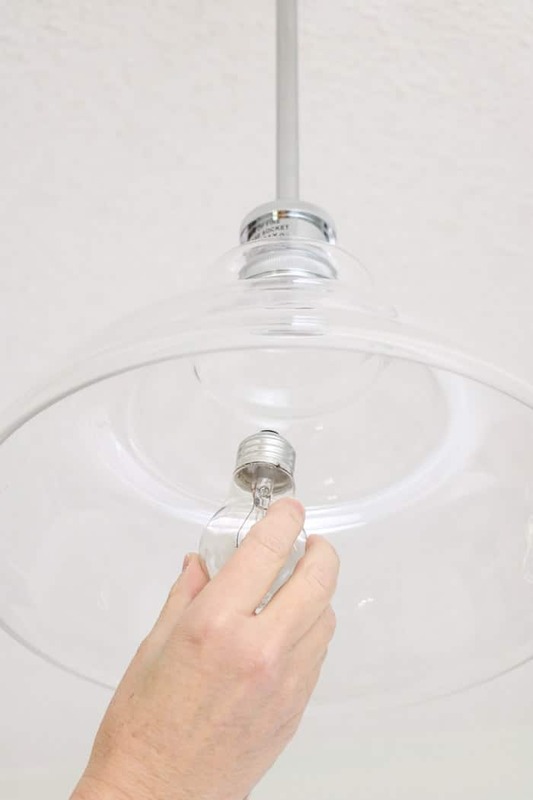 See how easy it is to replace a light bulb. If you are looking for a great ceiling fan that puts out a lot of light check out my enclosed ceiling fan post. The lighting is excellent in this fan. 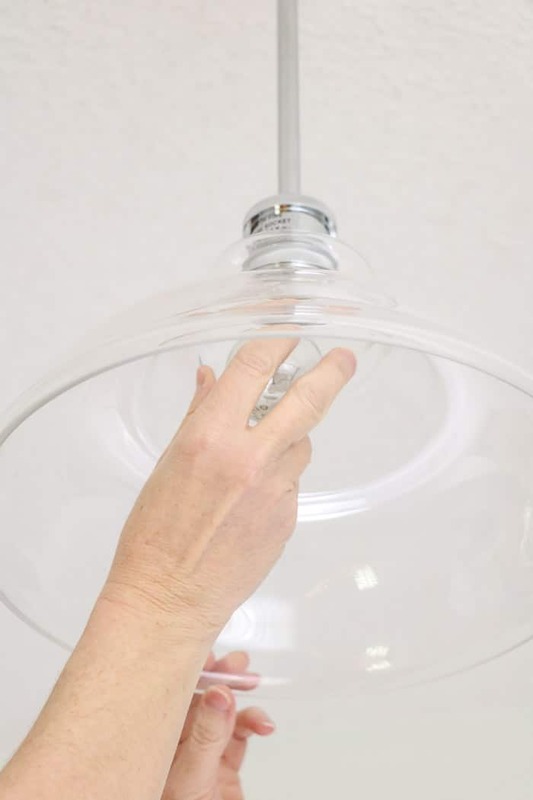 And if you like this clear glass industrial light then check out all of Linea’s lighting. 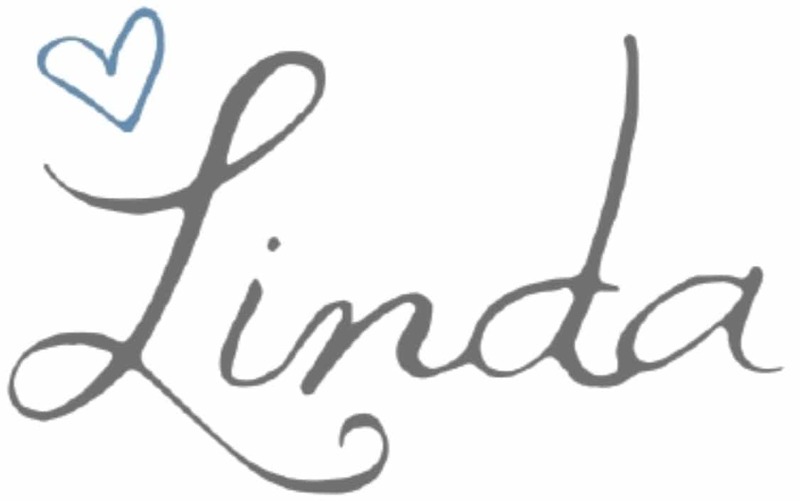 They have beautiful designs!! 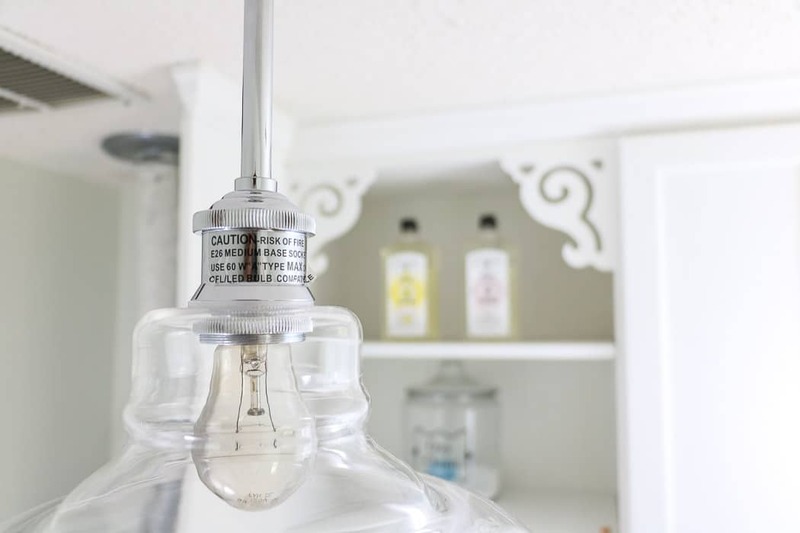 I hope this post has been helpful and the next time you change a bulb will be much easier.